Sciency Thoughts: Queensland man dies after being bitten by Eastern Brown Snake. Queensland man dies after being bitten by Eastern Brown Snake. A man has died in Townsville, Queensland, after being bitten by an Eastern Brown Snake, Pseudonaja textilis, on Thursday 19 April 2018. The as yet un-named 46-year-old man approached neighbours in the Deeragun suburb of the city slightly after five o'clock local time, and asked if they could identify a Snake that had bitten him on the hand. Shortly afterwards he collapsed, and despite prompt CPR from neighbours, was pronounced dead when paramedics arrived on the scene. Snake catchers later removed a 1.5 m Eastern Brown Snake from his property. 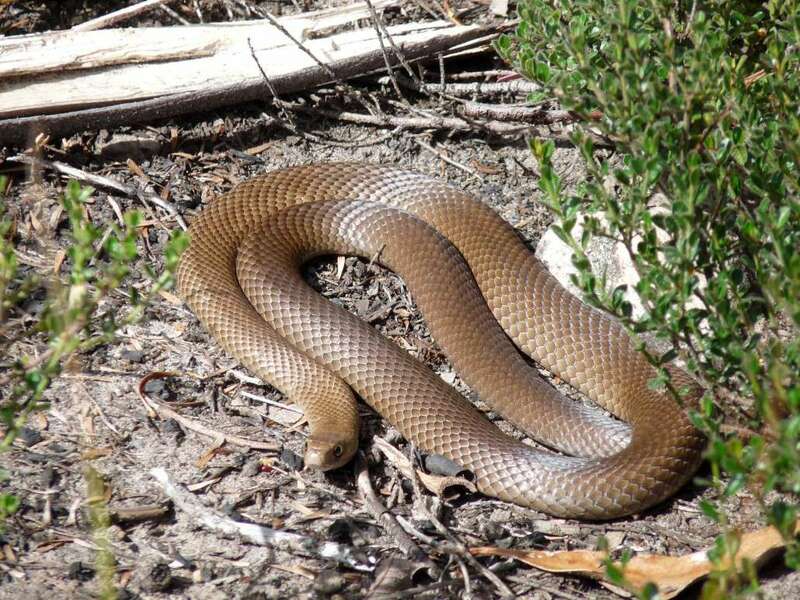 An Eastern Brown Snake, Pseudonaja textilis. Australian Reptile Park. The Eastern Brown Snake is a type of Elapid (Snakes with hollow fixed fangs through which venom is injected), considered to be the world's second most deadly terrestrial Snake, after the Inland Taipan, Oxyuranus microlepidotus, another Australian native. 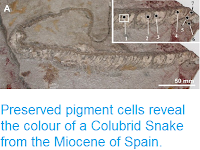 It is variable in colour, ranging through cream to orange-brown to almost black, and can reach about 2 m in length. 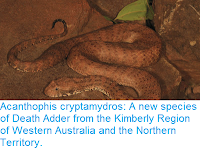 The species is found across eastern and central Australia, and well as in southern parts of Papua New Guinea. Eastern Brown Snakes are highly active daytime predators, and can react aggressively if they are confronted or feel trapped, though if possible they will generally try to withdraw or hide before attacking. 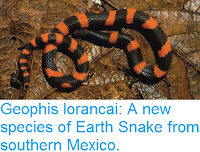 They occur naturally in a wide range of habitats, and are able to survive in most man-made environments, making them of particular risk to Humans, though all attacks on us are defensively, their natural prey being small Mammals, Birds, Frogs, Lizards and other Snakes.